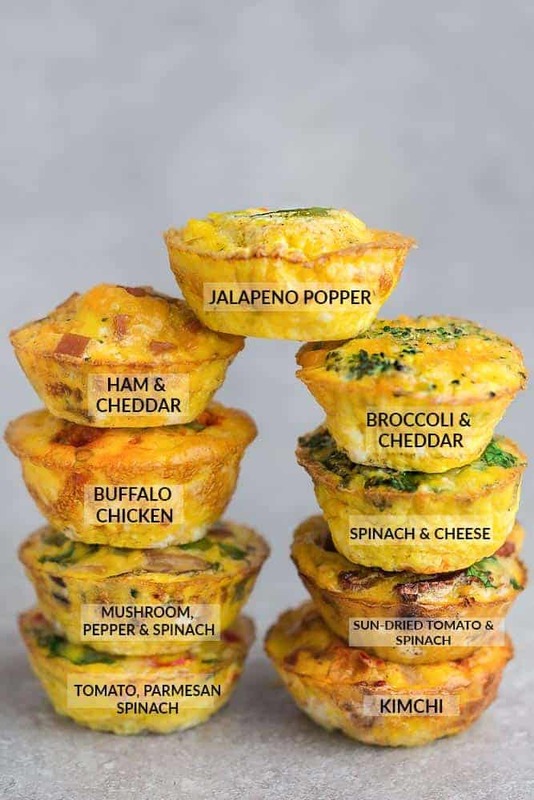 Breakfast Egg Muffins – 9 Ways – these Muffin Cups are the perfect easy low carb / keto-friendly make-ahead breakfast for on the go. 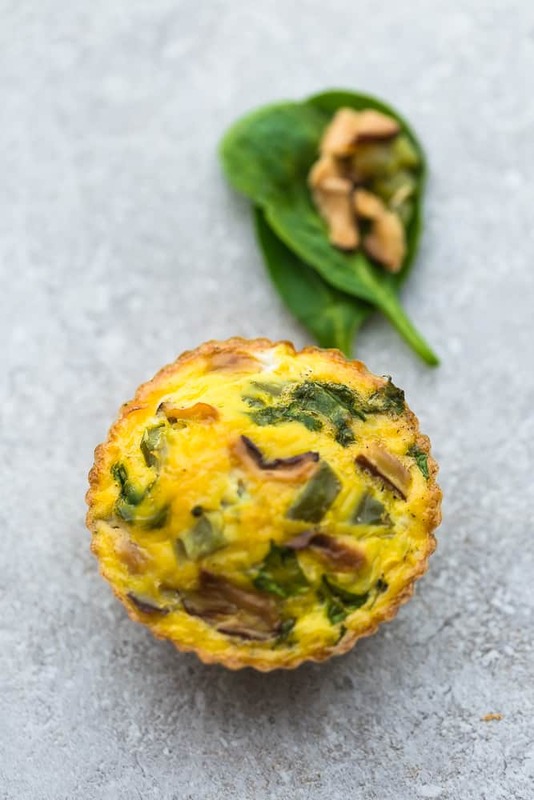 Best of all, they are packed with protein and so convenient for busy mornings, weekend or holiday brunch! Eggs of any kind are a favorite at our house. 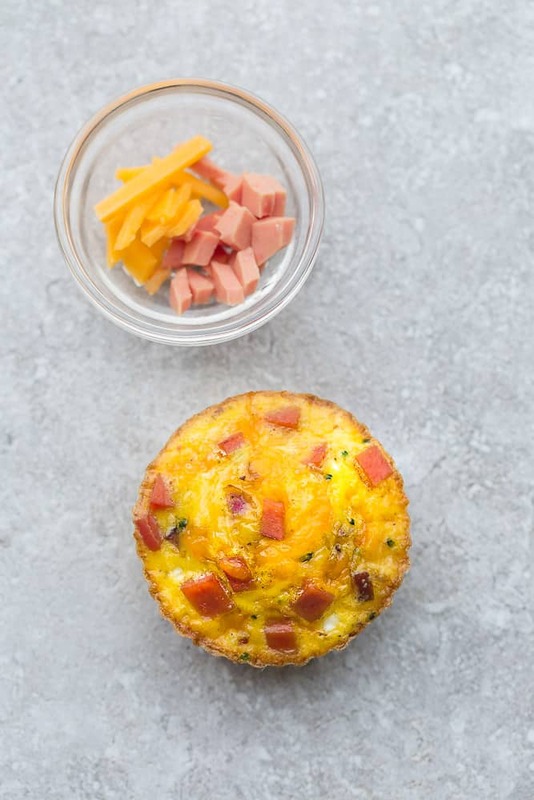 Hard boiled eggs, baked eggs and these easy Breakfast Egg Muffins. 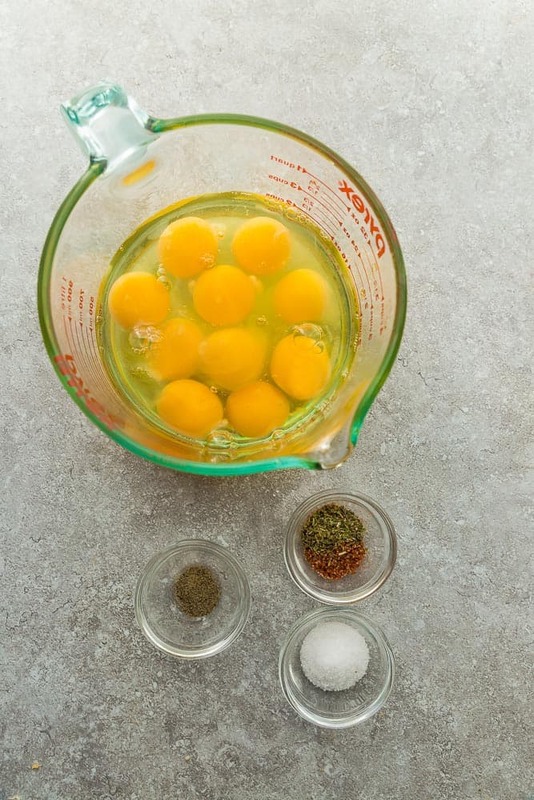 Today’s post features 9 delicious ways you can switch up the flavors and have been featured on Cooking Light and The Today Show. 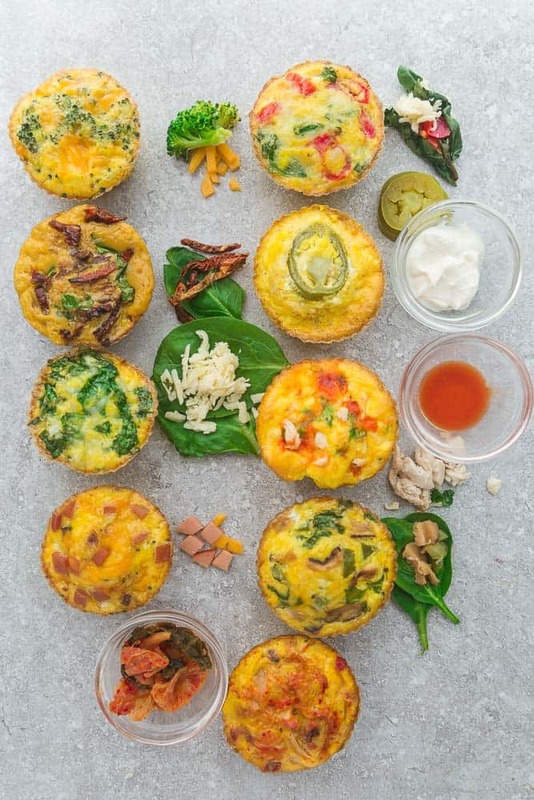 WHAT ARE BREAKFAST EGG MUFFINS? 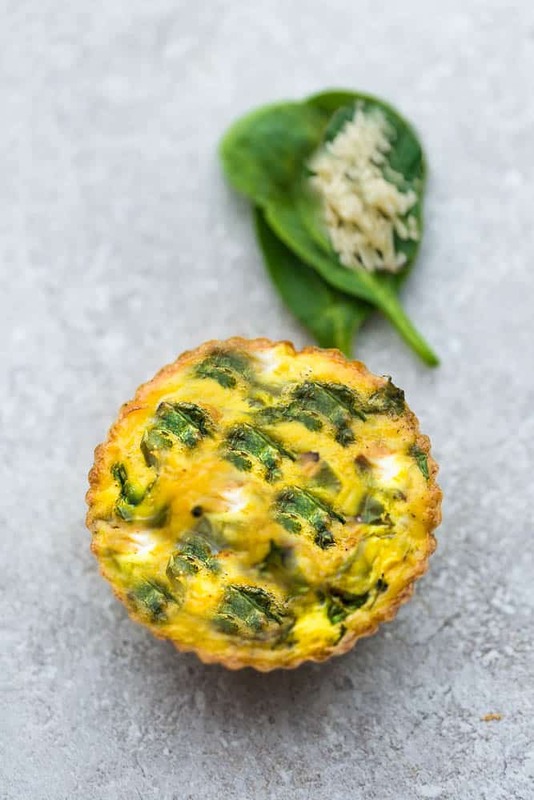 Healthy egg muffins are sort of like mini personal-size frittatas that you can grab for breakfast on the go. You can keep them on hand in your fridge or freezer throughout the week. And then on your meal prep day – bake a batch, wrap them up and store them in the freezer. They are naturally gluten free, paleo, low carb, keto friendly, Whole30 compliant and super easy to make. The best part is that you can make them ahead of time to have in the fridge for a quick breakfast or lunch! 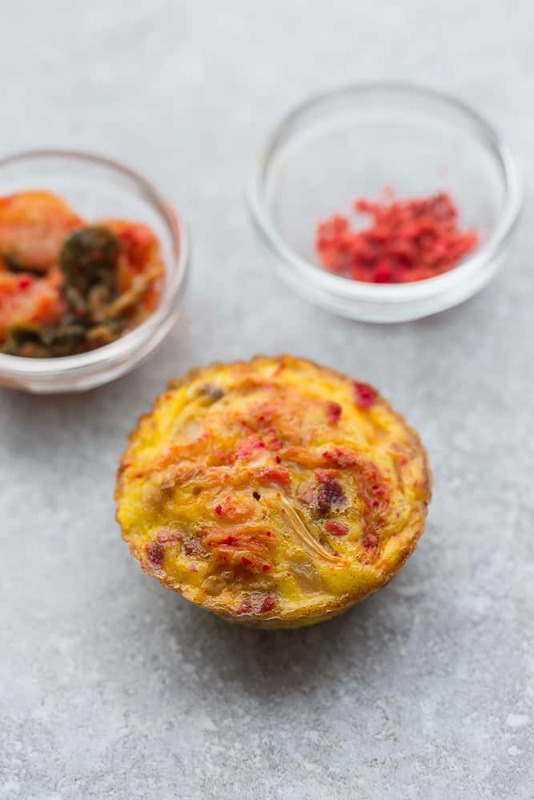 Breakfast egg muffins make busy mornings soooo much easier. Do you have early risers in your house? CAN YOU BAKE EGGS IN THE OVEN? Yes, absolutely. What I love about making baked eggs is that there is virtually no mess! Plus, you can bake a batch on your Sunday or Monday meal prep day, wrap them up and store them in the freezer. When you’re ready to serve, grab one of those single mini muffins (or two) and give it a quick reheat and you’re set to go! 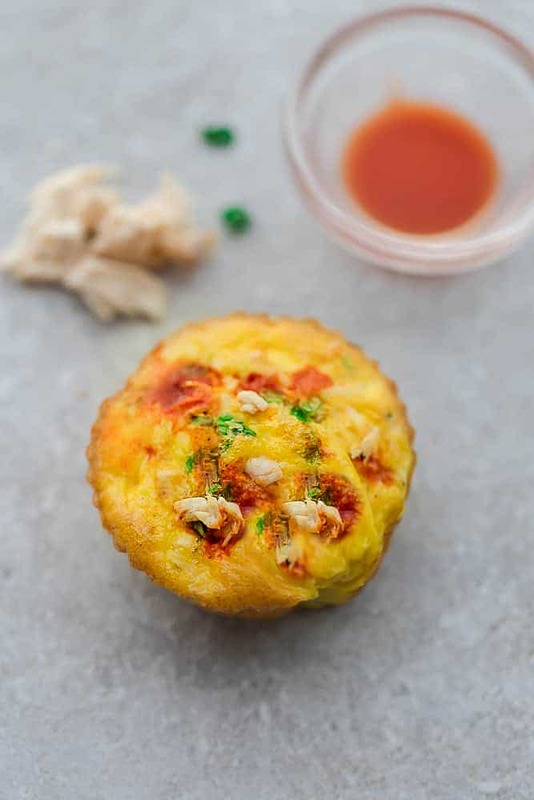 WHAT TOPPINGS ARE GOOD IN EGG MUFFINS? 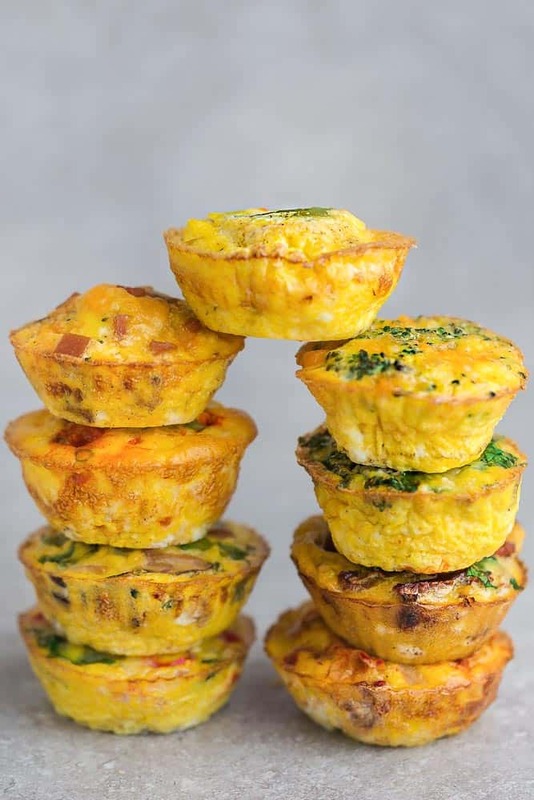 Keto breakfast egg cups are full of protein and super easy to customize with a variety of toppings or add-ins you like or have in your fridge. Got some leftover vegetables, turkey or bacon? Just chop them up and toss them in – kale, zucchini, asparagus – they’re all delicious! Start off by making your base recipe. It’s super simple and only contains THREE (3) ingredients. 2. Whisk them together in a large 4-cup measuring cup or a mixing bowl. Add any other seasonings you like. 3. Chop up your favorite combo of vegetables and proteins and mix until combined. 4. 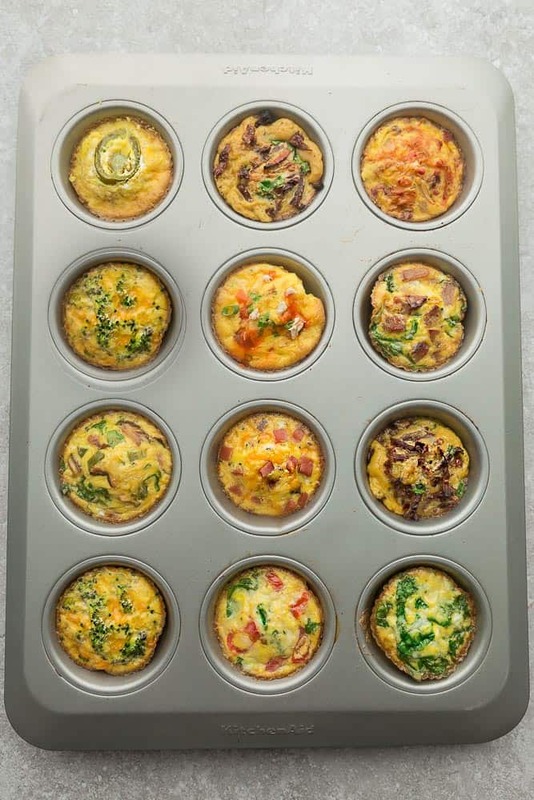 Divide evenly among muffin cups (about 1/2 – 2/3 cups full) and sprinkle with any additional toppings. 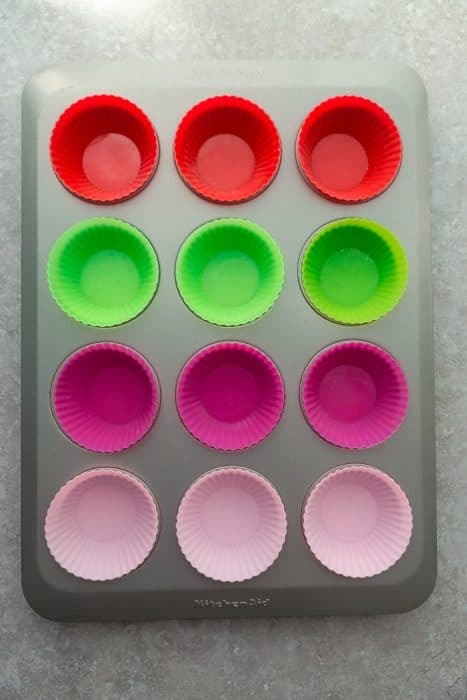 I like lining my muffin tin with these silicone liners since they are guaranteed to pop out easily without sticking. 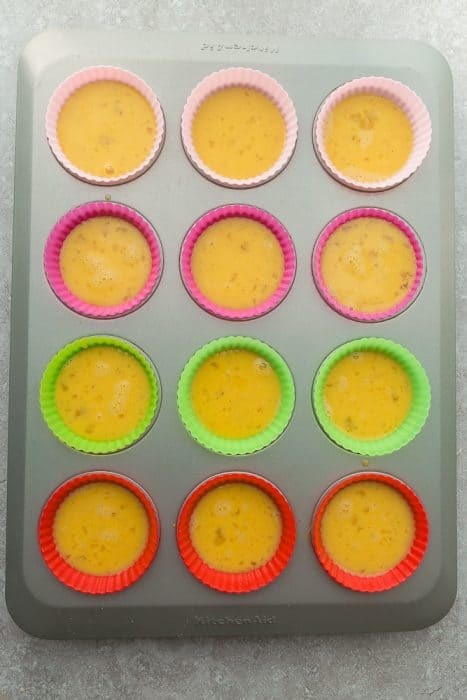 If you don’t have silicone liners, it’s helpful if you grease the muffin tins with a non-stick cooking spray. 5. Pop the pan in the oven at 400 F and once cooled, you can store the egg cups in resealable bags or glass containers. Keep them in the fridge (or freezer) and every morning, heat one up in the microwave for 30-40 seconds. Breakfast is ready to go! I’m sharing NINE (9) recipes on this post but you can totally make them all the same kind! My kids love having fun options for breakfast so I like to switch it up. 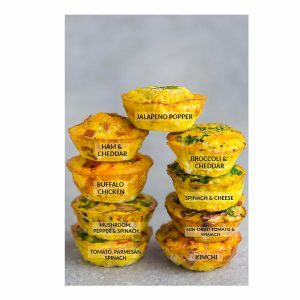 ARE BREAKFAST EGG MUFFINS HEALTHY? Yes, absolutely! Eggs are full of healthy protein and nutrients. Plus, they fit perfectly if you are following a low carb, paleo, ketogenic or Whole30 diet. 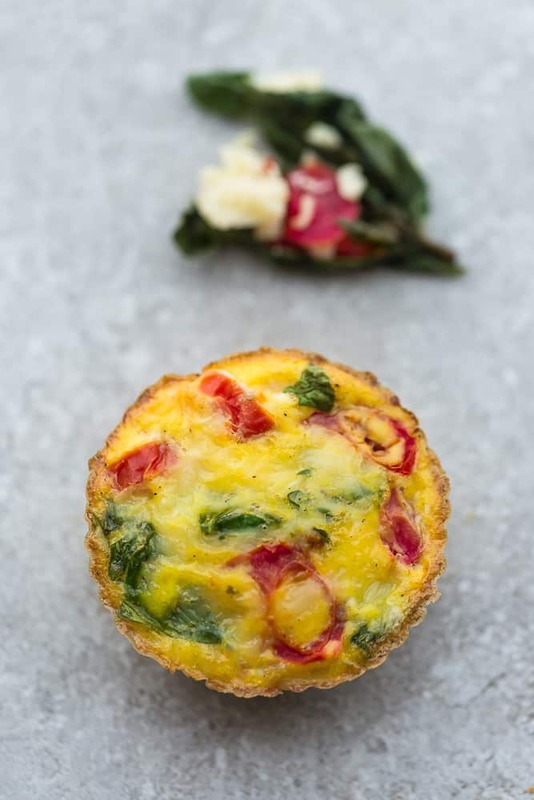 With a batch of these fun breakfast egg muffins, now there’s no excuse to skip having a healthy breakfast when you’re on the run each morning. Season with your favorite spices and herbs – not a fan of basil? Leave it out and use thyme or for an extra kick, cumin or Cayenne pepper instead. 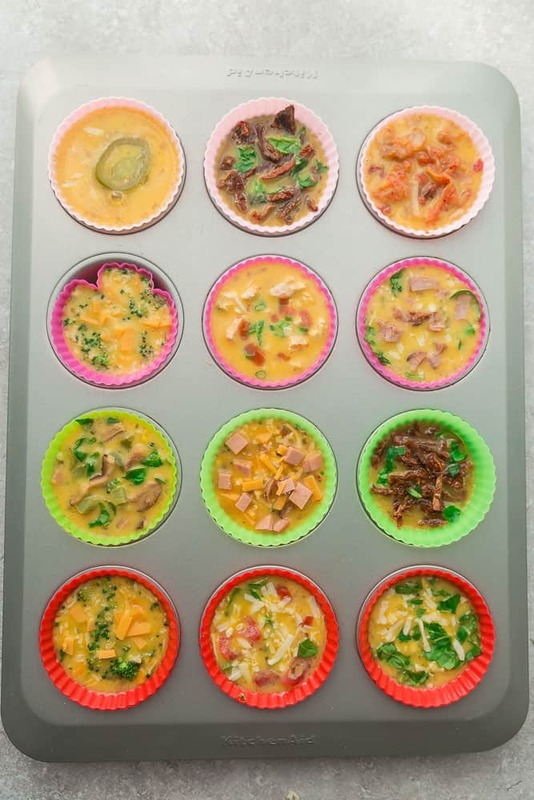 Breakfast Egg Muffin Cups - 9 Ways - are the perfect easy make-ahead breakfast for on the go. Best of all, they are packed with protein and so convenient for busy mornings, weekend or holiday brunch! Divide evenly into muffin tins filling each about 2/3 full. Bake in preheated oven for 12-15 minutes, or until set. Whisk in garlic powder and thyme until combined. Stir in broccoli and cheddar. Divide evenly into muffin tins filling each about 2/3 full. Use a spoon to evenly distribute chicken into muffin cups (about 2-3 tablespoons each). Bake in preheated oven for 12-16 minutes, or until set. Serve with a drizzle of buffalo sauce if desired. Whisk in sesame oil until combined. Stir in kimchi, cheese, and bacon (if using). Divide evenly into muffin cups filling each about 2/3 full. Whisk in garlic powder, onion powder, and cream cheese until combined. Stir in cheddar cheese, chopped jalapeño and bacon. Divide evenly into muffin cups filling each about 2/3 full. 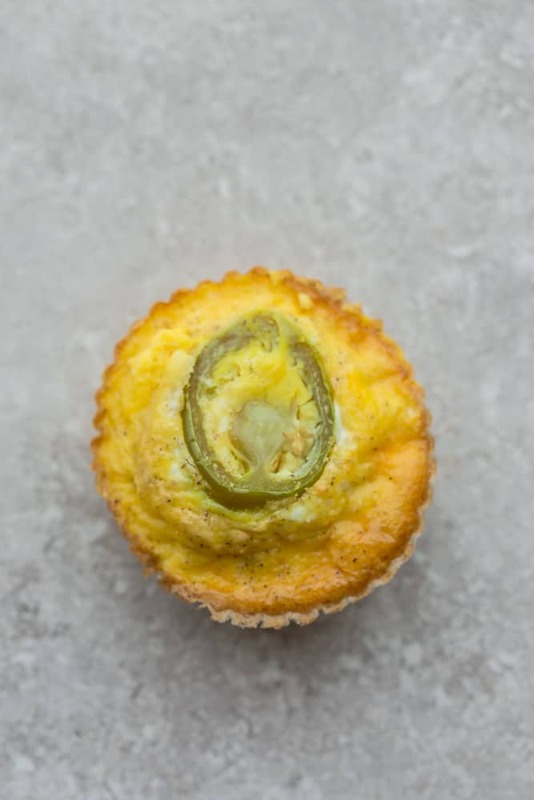 Place 1 round jalapeño slice on top in each muffin cup, if desired. Bake in preheated oven for 12-17 minutes, or until set. Whisk in Italian seasoning until combined. Stir in mushrooms, peppers, and spinach (Add sausage if using). Divide evenly into muffin cups filling each about 2/3 full. Bake in preheated oven for 12-16 minutes, or until set. 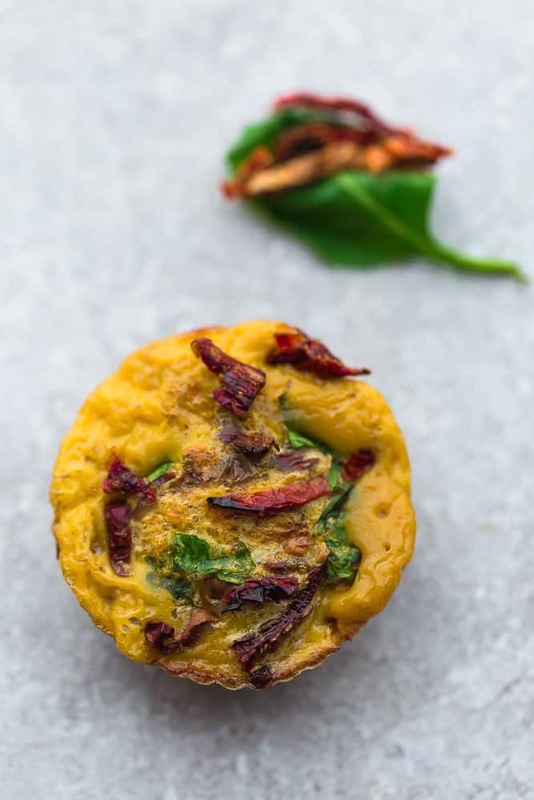 Stir in sun-dried tomatoes, spinach, basil, and cheese. Divide evenly into muffin cups filling each about 2/3 full. Sprinkle with more cheese if desired. Bake in preheated oven for 12-16 minutes, or until set. Whisk in garlic powder and Italian seasonings until combined. Stir in tomatoes, spinach, and cheese. Divide evenly into muffin cups filling each about 2/3 full. Thank you so much for sharing these recipes. I have tried a few of these on my own but you had me with the buffalo chicken one. I would have never thought of that one. Excited to make those this week. I love this recipe!. I live alone and hate to cook. This makes a quick, “good for you” breakfast for days by only cooking once. I made two variations: (1) bacon, onion and green pepper; (2) salsa, taco cheese and mexican seasonings. Hello, It is a nice recipe. I love muffins and trying new food with the use of muffins. I like kimchi, spinach and parmesan. I am going to share with others. How long do I put the egg muffins in the oven? It looks like IT depends on which one you’re cooking, generally 12-15 or 16 minutes or until set. How long can these be stored in the freezer? I’ve got a load of eggs from my lovely chickens and this would be a brilliant way to keep on top of them!! This is delicious and fun to make.. I mixed broccoli and Hallomi cheese, beef pastrami onions and three cheeses… Love it. I raided the salad bar at the grocery for vegetables and ham because I could get the quantity I needed without having to deal with leftovers, plus the things in the salad bar are already washed. I chopped everything smaller, of course, but I’d do the salad bar thing again. I got spinach, red bell pepper, mushrooms, and ham but could have gotten onions, bacon, other peppers, broccoli, and more. What a fabulous IDEA on the salad bar! Thank you for sharing!!!!!! MAde these For lunch for me and toddler (Ham and cheese) We both devoured them! Definetely batch MAKing MORe for QUICK lunches ?? 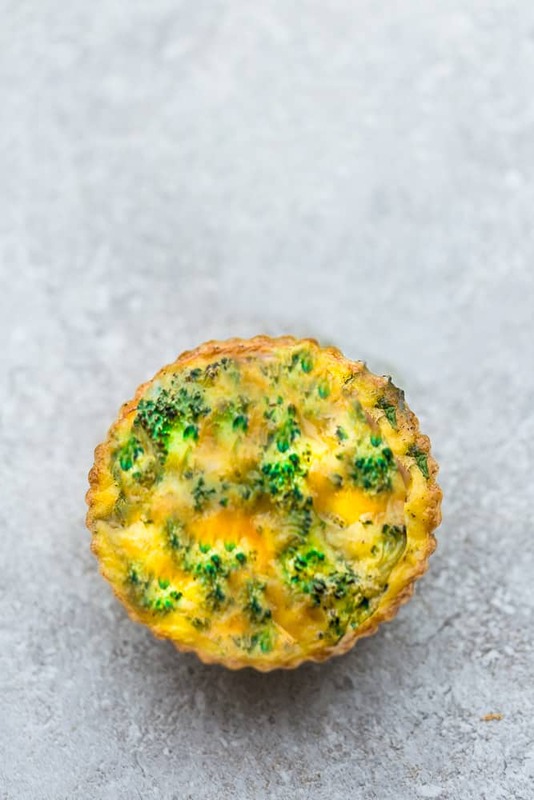 Can you freeze these egg muffins?